The #1 home solar provider in the US has announced the creation of a new fund intended to finance $400 million in solar projects. In tandem with the announcement of the new solar project fund, SolarCity also revealed that it has now raised funds to finance more than $9 billion in solar projects. 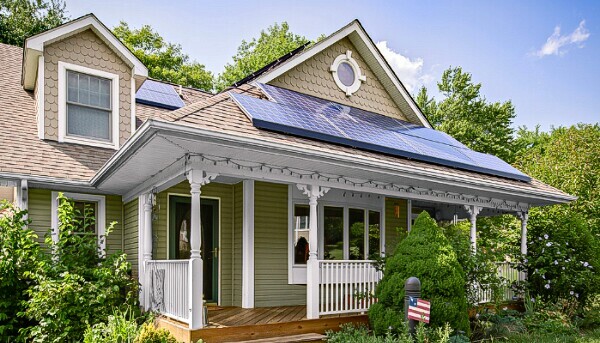 The new fund, created in conjunction with an unnamed “large financial institution,” will cover the capital cost of solar equipment and installation for homeowners looking to install solar projects on their homes. SolarCity noted in its press release that “solar projects can deliver strong financial returns and at the same time can reduce water consumption, pollution, and greenhouse gas emissions,” making the investments both financially beneficial as well as socially responsible. The move is likely to see SolarCity continue its standing as the United States’ #1 home solar provider. The company’s second quarter earnings showed record bookings and installations — despite a net loss.